A renowned actress (Jeanne Moreau) and her friends (Lucia Bose, Caroline Cartier, and Francine Racette) deal with love and career choices in Paris. 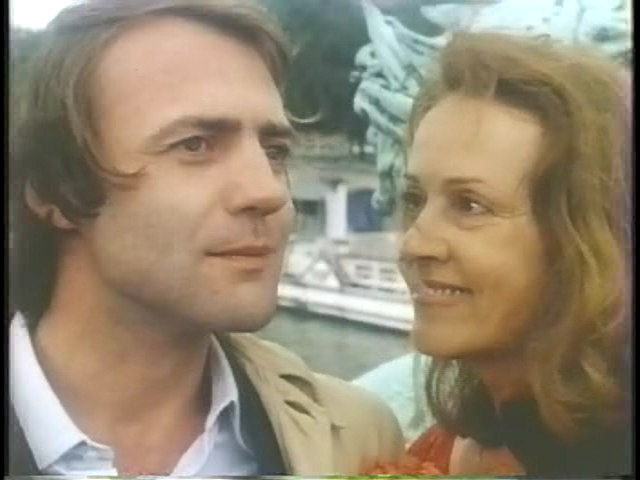 Jeanne Moreau’s directorial debut offers more of a meditation on women’s lives than a compelling narrative; her attempt, a la Robert Altman, to touch upon the travails of a host of interwoven characters necessarily fragments the story, often to its detriment. Moreau herself ultimately emerges as the most sympathetic (and central) character: her story — thanks in no small part to her luminous performance — is eminently watchable, and her three love interests — played by Francois Simon (as her older “companion”), Francis Huster, and Bruno Ganz — are all perfectly cast. Unfortunately, we learn much less about either Cartier (virtually a non-presence) or Bose (a fine Italian actress whose character possesses an intriguing, though unplumbed, back story). Meanwhile, Racette primarily provides comic relief — as in the film’s most humorous scene, involving a hilarious David Carradine as a horny American who catches sight of Racette in a restaurant and tracks her down ruthlessly; this could be creepy, but Moreau wisely chooses to play it for laughs. 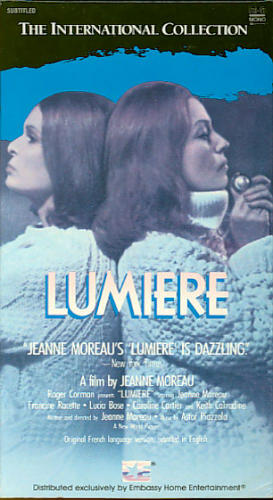 Ultimately, Lumiere‘s fractured, imbalanced narrative prevents it from being “must see”, but Moreau’s ability to effortlessly evoke a particular milieu — one she’s intimately familiar with — makes it worth viewing at least once. No, though fans of Moreau’s work will likely be curious to check it out. 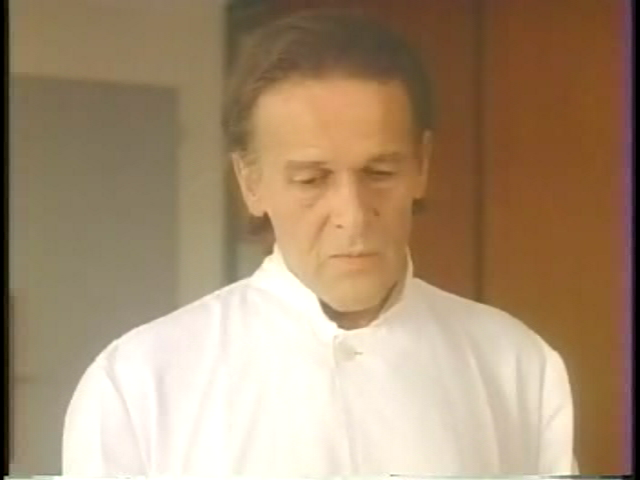 Here’s a prime example of what I referred to (in my post for Chabrol’s ‘The Unfaithful Wife’) as a ‘liquid’ film; an amorphous thing prevalent in modern French cinema – and accurately called a “meditation” in the assessment. Ironically – although one would think the canvas here is set for real film fanatics – the film comes off as a bit too esoteric for its target audience. And its point seems diffuse – until the final scenes, in which the controlled ‘light’ of the film set is seen as preferable to the harsh ‘light’ of the real world. Moreau is among France’s best actresses (and gave us another marvelous ‘actress’ turn this same year in Kazan’s ‘The Last Tycoon’). I seem to recall there was some amount of fanfare when ‘Lumiere’ was released, perhaps largely due to Moreau’s stature as a performer. This isn’t a terrible film – but neither is it all that compelling.